The Silver and Black Glass Cremation Urn is hand-cut art glass with genuine brass trim in a silver-tone finish. The glass color is a dark charcoal several shades lighter than black. There is no purple color to the glass as may be noticed on your computer monitor. An optional Large Bright Silver Medallion Name Plate is available to personalize the Adult size urn. Please limit engraving to no more than 26 spaces for the name and no more than 33 spaces for the birth/passing dates or a short sentiment. 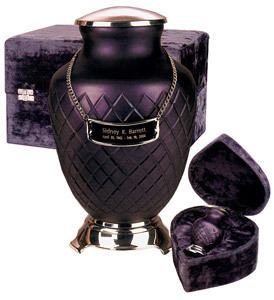 This full sized adult urn includes a velvet case. 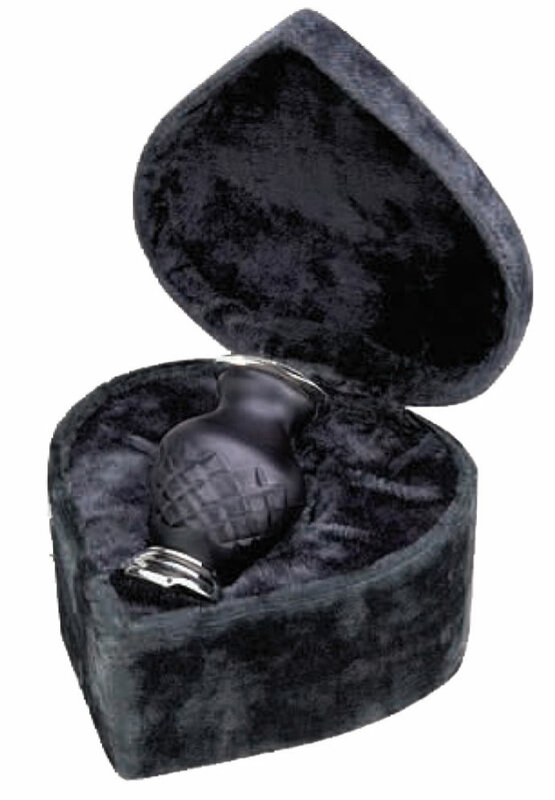 Keepsake urn includes heart-shaped velvet case. Keepsake is sold separately. Please select the size you wish to order.